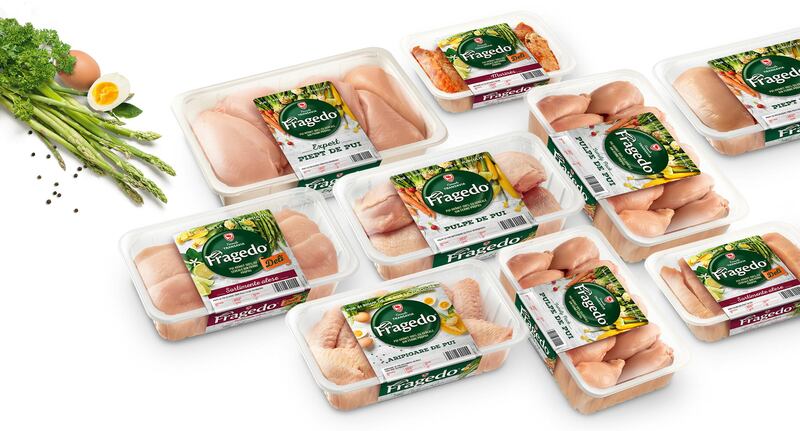 Brandient delivers design excellence in whole product portfolio revitalization processes. 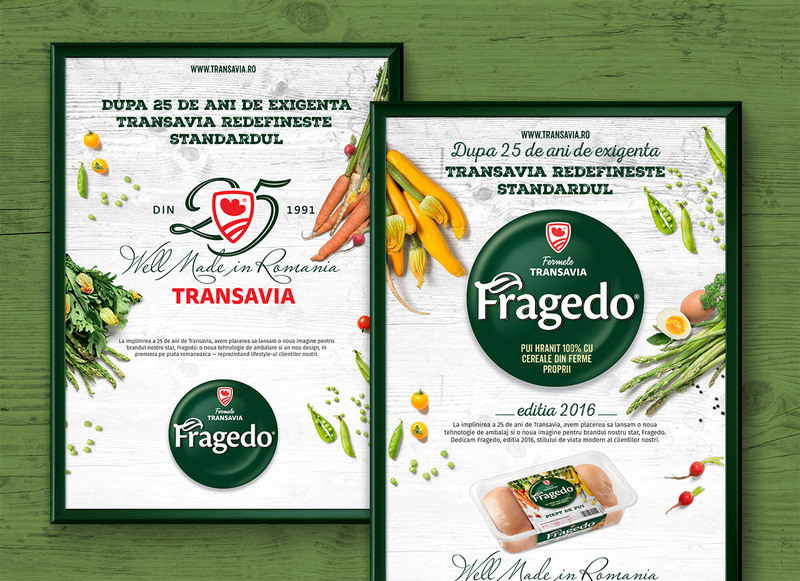 In the context of modernizing the packaging technology for its products, Transavia — the Romanian leader in the poultry industry and an important player on the European market — commissioned Brandient for the packaging redesign of Fragedo, the leading brand of poultry products on the Romanian market. 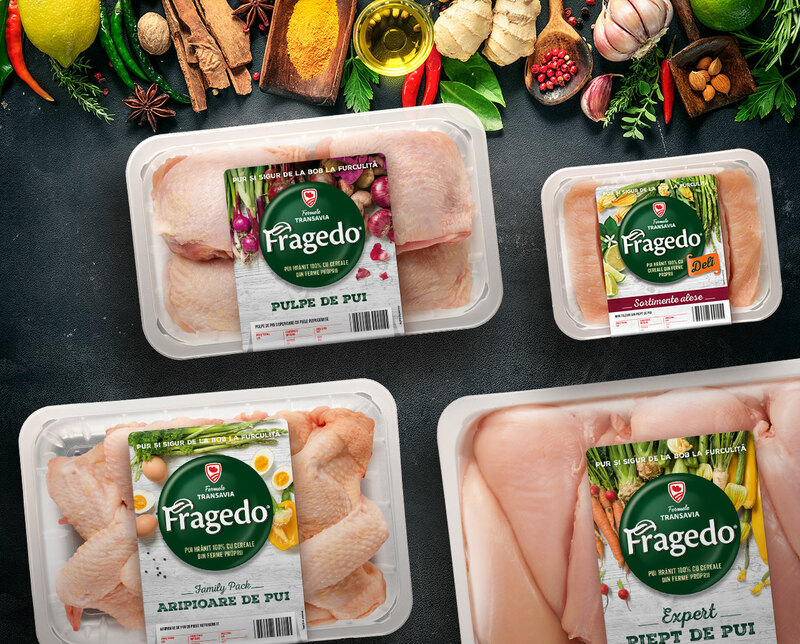 Created by Brandient 11 years ago, Fragedo proudly claims “Well made in Romania”, addressing the modern lifestyle of urban consumers, promising and delivering food products of exceptional quality, impeccable safety standards, and a range of great variety. 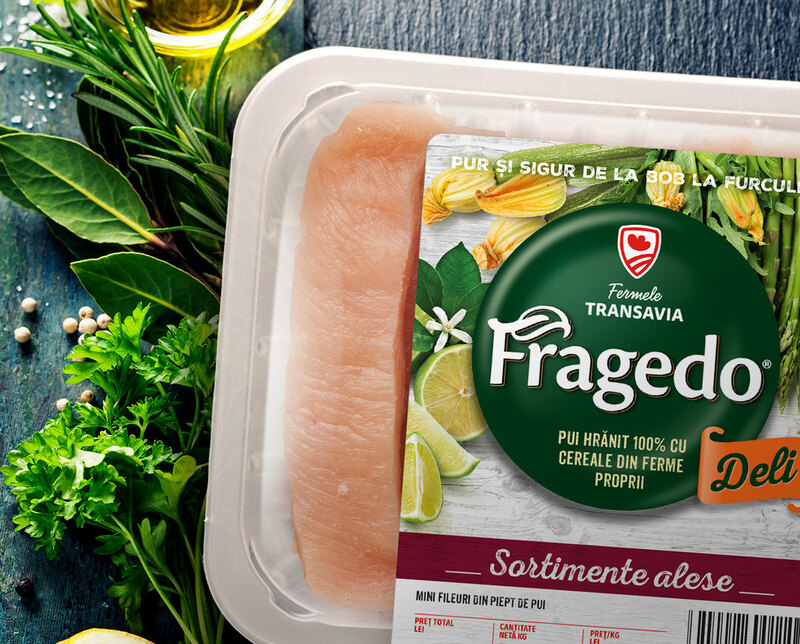 The new packaging design supports the brand’s positioning, reflecting the Transavia’s business competencies — the chicken fed with cereal cultivated by Transavia and carefully grown in Transavia’s Farms, so that they provide a trusted source of health and joy for the urban consumer. 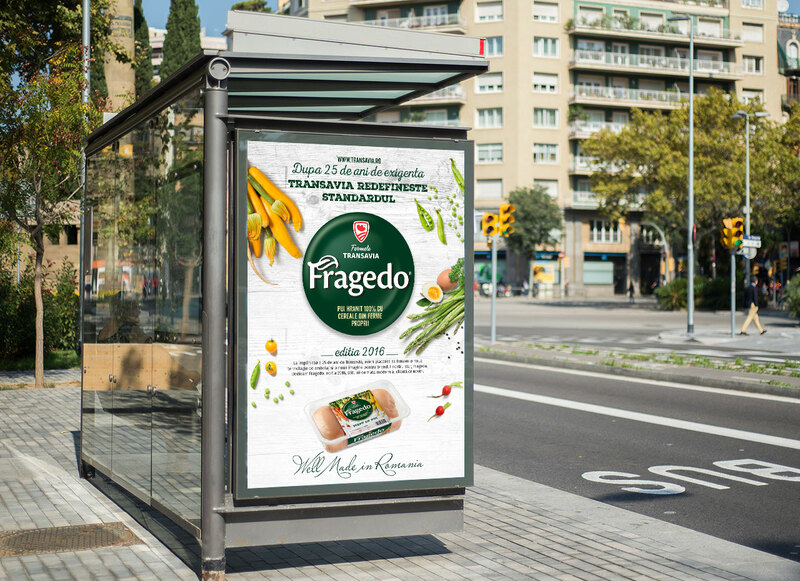 Food safety along the production and commercial chain is reflected by the brand’s new slogan “Pure and safe, from grain to fork”. The creative concept supports the modern lifestyle trends, reflecting the natural and honest production process and showing, at the same time, the joy of cooking. A sincere approach that creates, through its design, a slow living, modern perception. 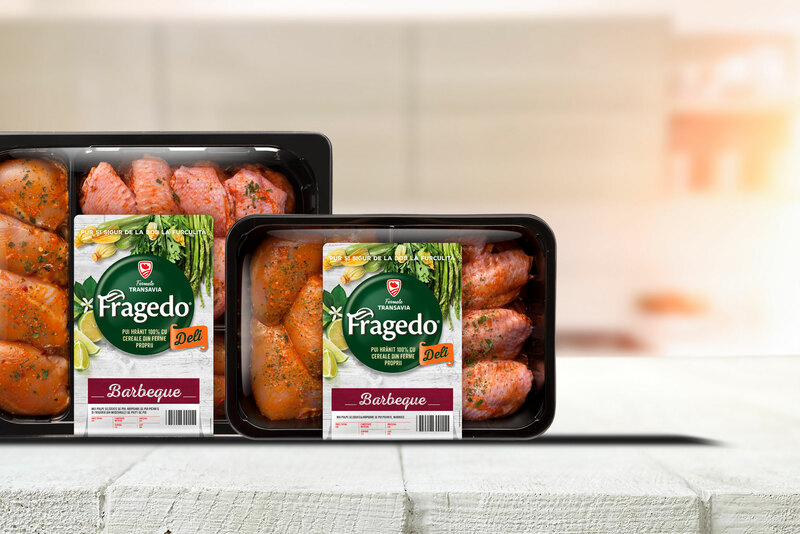 Moreover, the variety of Fragedo’s range, made of over 50 assortments, offers a general feeling of shelf vitality and delight, creating a strong visual impact. 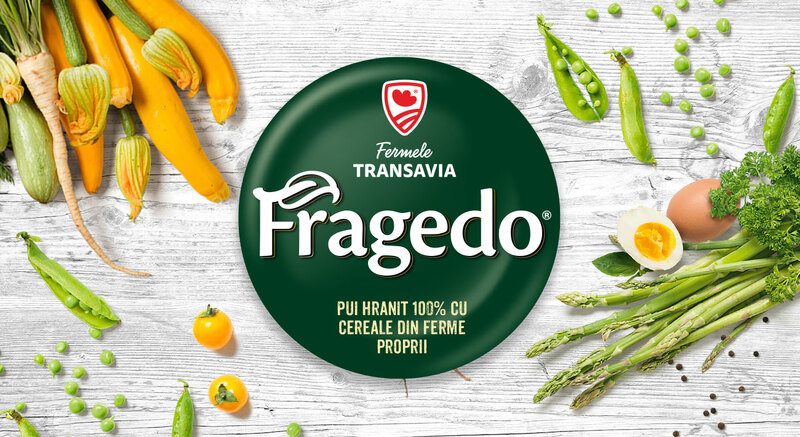 The new Fragedo design is a step forward for the Romanian shelf, showing on the label the vegetables from the Romanian consumers’ kitchen, and not the product itself — yet another proof of the leadership that Transavia has been instilling into the local industry for the past 25 years. • Graphis Merit Award in 2017.